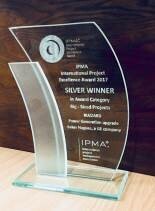 On Wednesday September 6th, during the 30th IPMA World Congress held in Astana the project Buzzard Power Generation Upgrade has been awarded with Silver Winner in the IPMA Project Excellence Award 2017, category Big Sized Projects. 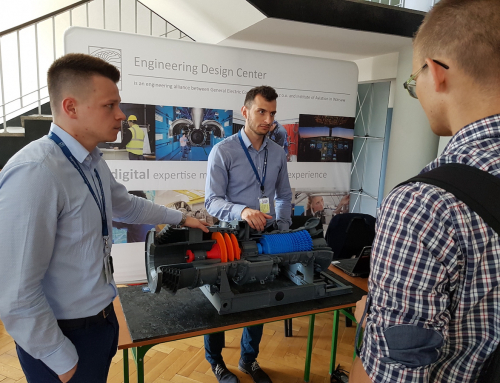 This project was realized mainly by EDC BHGE engineers from Upgrades Turbomachinery & Process Solutions Team, who worked together with Control Engineering teams from Florence and India on upgrading the power supply of an oil production platform. 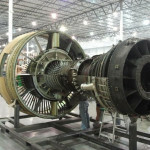 The Buzzard Power Generation Upgrade project was a project with small weather and physical margins, in which mistakes could have grave consequences for safety, production loss and client relations. Engineering Team showed a strong orientation towards clearly defined objectives aligned with the key BHGE strategic goals to ensure implementation of a simple but flexible project strategy. From the very beginning of the project a clear and aligned understanding about the project objectives between BHGE and the customer was set up and this resulted in a high satisfaction level. Project results are beyond expectations, on time (5 months earlier), within budget and efficiency of the solution implemented. This is a great achievement of the BHGE Upgrades TPS Team and recognition for all the people that in our company have worked for the success of the project from the bid phase up to the closure of the off-shore activities. For more details on the project we encourage everyone to see the video below.